What Should You Look For When Conducting a Win-Loss Analysis? “Insanity is repeating the same behaviors and expecting different results.” How many sales organizations are headed down the path of insanity because they aren’t taking the time to conduct a formal or informal win-loss analysis? The answer: too many! When I speak with CEO or sales managers, I often ask how many have conducted a win-loss analysis. Not enough hands raise, telling me their sales organizations are racing down the path of insanity. Perhaps it’s time to slow down in order to speed up to figure out why you’re winning and losing. There are a lot of data points to consider. Here are three to get you started. #1: Origination of the lead. The first question I ask salespeople when debriefing calls is, “Should you have been there in the first place?” Your sales team members can have the selling skills of the late Zig Ziglar and still not close business because they are not calling on their ideal client. Get clear on what type of business development generates opportunities that actually have a chance of getting across the finish line. An analysis of where you are winning business will give you direction on where to spend your future time, money and energy. #2: Pain points. Start looking at reasons your company wins business. Often, you will find there is a common pain point. For example, a few years ago, when we conducted our own win-loss analysis, it became clear that our best client’s pain point was keeping up with sales growth! Our clients engaged us to install duplicatable systems and processes that would ensure their ability to CONTINUE to scale revenues. It was kind of a “duh” moment, realizing that our biggest clients weren’t struggling with sales --- they were struggling with keeping up sustainable and predictable growth. One of our clients discovered during their annual win-loss review that they consistently beat the competition when pursuing projects that were complex and difficult. They also found that clients were willing to pay for their expertise in this area. As a result of slowing down, they increased the right type of sales, keeping them out of the commodity/what’s-your-price sales game. #3: Competitor. Are you losing to the same competitor over and over? If so, better figure out what the competitor is saying and doing to win business that you deserve. Make sure your sales team really learns why they lost they business. If you hear the standard excuse of price, dig deeper. Did your company lose on price or did your sales team fail to demonstrate value? If the answer really is price, and your business model is built on value, go back to No. 1. You shouldn’t have been there in the first place. Cheap, transactional prospects aren’t your best target so why are you pursuing them? In your analysis, you might discover your competition is spreading fake news about your company. Years ago, after we questioned why we lost an opportunity, the prospect was nice enough to tell us the reason. 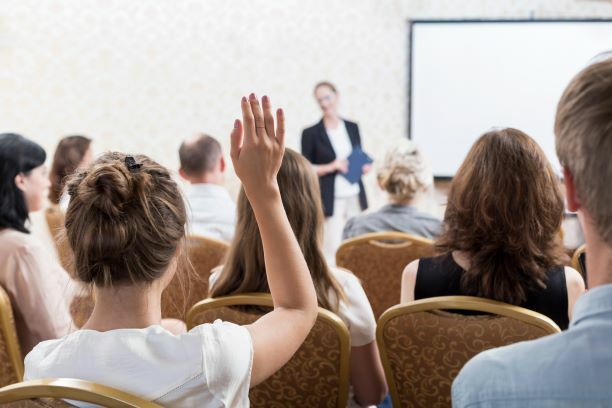 “Oh, we just didn’t want to sit in a sales training workshop with 200 other participants.” The reality is our Ei Selling® workshop size is limited to ensure hands-on attention. The good news is that we uncovered the fake news and learned how to sell against it in future sales calls. Stop running on the insanity treadmill. It will only result in bad knees and exhaustion. Conduct a win-loss analysis and set up your sales organization for faster and easier sales success in the new year.